A month ago, CES peeked into the future at some of the motorcycle technologies some manufacturers are working on. For Shoei, this new technology was the integration of a head-up display in a helmet—not exactly a ground-breaking feature considering a number of start-up companies have already been trying to sell the idea. It has now been confirmed that Shoei’s IT-HT helmet should be added to the lid lineup for 2020. Smart helmets are a recent phenomenon that allow the addition of such components as head-up displays, navigation, music streaming, and call management without overloading the motorcycle’s cluster. Until now, only smaller companies and startups had really pushed the concept of the smart helmet forward. 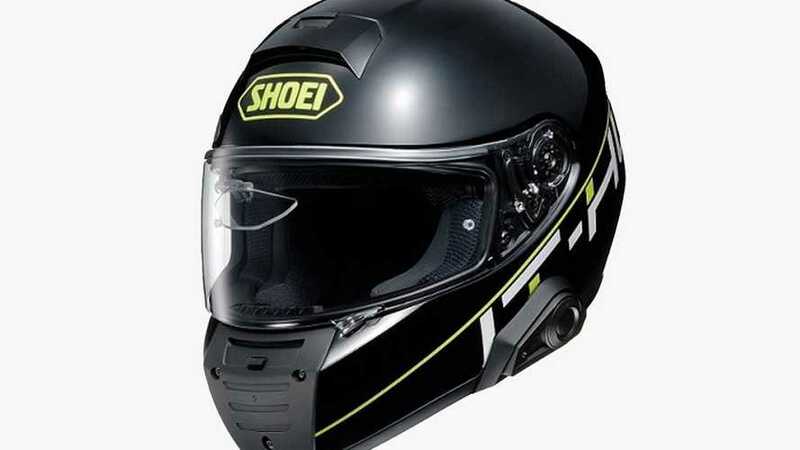 Shoei would be the first mainstream, well-established company to integrate the technology. It showed the IT-HT lid concept at CES a few weeks ago, without any specific agenda as to its potential introduction to the market. 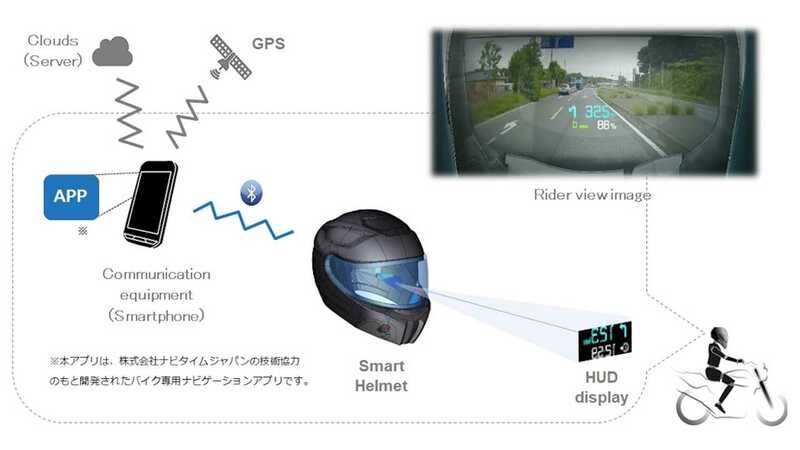 According to Japan Today, however, the company and its partner for the project, HUD supplier NS West, is working on developing the smart helmet. To make the head-up technology motorcycle-friendly, NS West changed a few settings in the technology it’s already supplying to automotive manufacturers. The projection is bigger and reaches further ahead than in a car. The amount of information displayed has been reduced to a minimum to avoid distractions. Only navigation instructions and weather data will be projected—no digital speedometer. The display is clear instead of smoked, and the system detects brightness to adjust and remain visible. The helmet will be paired with the user’s smartphone via Bluetooth and will not only display information on the HUD, but will also enable the “usual” wireless functions including music streaming and call management as it will be equipped with speakers and a microphone. The company is looking for ways to optimize its HUD system’s integration into the helmet to avoid too much weight gain or bulkiness. Shoei is expected to begin marketing the helmet for 2020 and at this point in time, no price point has been set.